When teaching a sound in therapy, there are a number of things therapists do to help support the child. Equally, when you are helping a child generalise a sound into their speech at home or in the classroom, there are ways to help as well. Today I’m going to talk about cueing. Tactile: There are various different styles of cued speech, but the idea is that you make gestures or signs to go along with the individual sounds. This way you are adding a visual element to help the child remember. In the UK many therapists use a system called Cued Articulation by Jane Passy. I personally love this system and use it every day. It not only gives a visual clue, but shows the child where in the mouth the sound comes from and other information about the sound’s production. It also encourages them to look at your mouth as all the signs are up near your face. We will talk about this system more fully another day. Another system used in many UK schools is the Jolly Phonics actions and I’m sure there are others used in different countries. There are many uses of cued speech. 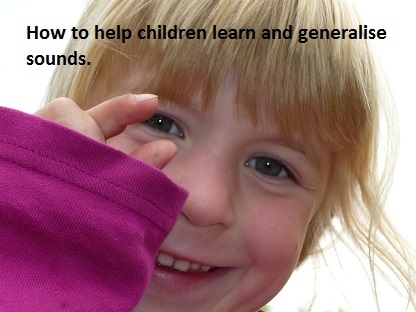 You can use it as you introduce a sound in isolation to help the child learn and differentiate it. You can use it to highlight the sound a child is missing. This is particularly useful for sounds in the middle and at the ends of words that get missed off. You can also just make the sign without saying the sound as a prompt for the child. By doing this you have reduced the level of cueing but are still providing a little support. 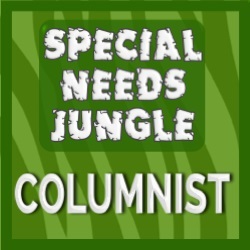 I use cued articulation with children who don’t have any difficulty making sounds in words, but have difficulties with hearing sounds (phonological awareness) and spelling. 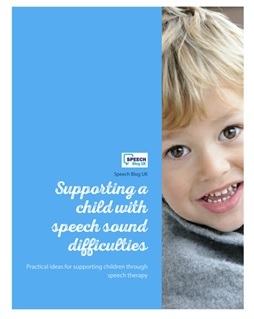 When a child is stuck and can’t hear the sound at the end of a CVC word such as cat or log, you can sign the final sound as you say the word to help them. Visual: As well as using signs or gestures as outlined above, you can use pictures. In the UK we use the Nuffield Dyspraxia Programme symbols to represent sounds and words or in schools they use the Jolly Phonics symbols. With older children you can use the written letter on its own. Again this gives the brain more information about the sounds and another way to learn and remember them. Verbal: I often find myself saying ‘Remember your snaky sound’ or ‘Where has that snaky sound gone? !’ This is a way of verbally cueing or reminding the child about the target sound. Depending on which pictures you are using, this will influence the verbal cues you use. There is a list here – on the Caroline Bowen Website to give you some ideas. So if you are working with a child, remember to use all three of the above ways of cueing to really help the child learn and remember the sounds you are working on. Then as the child learns and remembers the sound, you can reduce the level of cueing; maybe just tapping the picture or using the sign to remind them if they forget. We will write more in the future about the different systems I have mentioned. You can also cue different elements of language as well – you can read a post about that here! 7 tips to encourage confident communication.